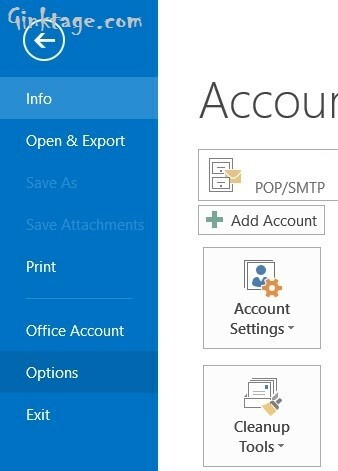 How to Change the default Calendar Color in Microsoft Outlook 2013? 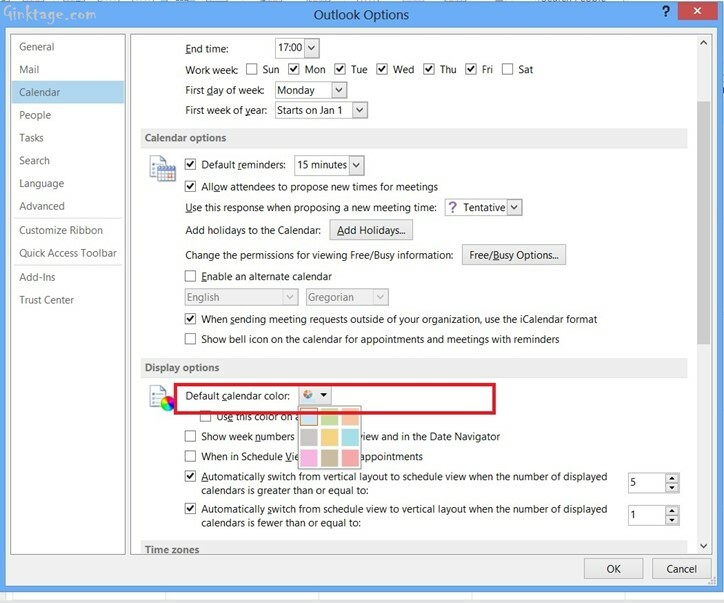 This article will explain how to Change the default Calendar Color in Microsoft Outlook 2013. Currently, Microsoft Outlook 2013 support 9+ color for the calendars. There are times when the user using outlook Calender wants to create a calendar with a different color. This blog post will explain how to change the default calendar color. Follow the below steps to modify the default calendar color in Microsoft Outlook 2013. 1. Launch Microsoft Outlook 2013. 2. Navigate to File and click “Options”. 3. In the “Outlook Options” Dialog, select “Calendar” from the left sidebar and scroll down to the Display Options. In the “Default Calender Color” DropDownList, select the appropriate color and “Check” the option “Use this color on all calendars” if necessary. 4. Click Ok. Now you should see that the new calendars created will have the newly selected color as default.